In the 1850s, railroads changed the landscape of McHenry County. Now it just might happen again. Discussions on bringing a high-speed passenger rail service between Chicago and Rockford appear to be moving off the back burner and heating up. The Rail Alliance Initiative for Northern Illinois hosted a meeting Jan. 15 in Rockford attended by two Amtrak officials. One of the two potential routes being bandied about would use Union Pacific Railroad tracks to travel through Huntley and Belvidere to connect outbound passengers from Chicago farther west through Freeport, Galena and Dubuque. Derrick James, senior manager of governmental affairs in Amtrak’s Chicago office, told the packed house that 56 Amtrak trains are dispatched each day across Illinois. That equates to a sixth of all Amtrak passenger trains in the country. And true to its history, Chicago is the busiest station. An estimated 3.4 million Amtrak passengers pass through Chicago each year, James said. The most popular train, which runs from Chicago through Normal and Springfield to St. Louis, moves at 75 mph – with plans to reach 110 mph soon. The dilemma facing McHenry County is similar to that which plagues interstate highways. Every curb cut and ramp slows traffic. We need to look no further than Route 47 through Huntley. 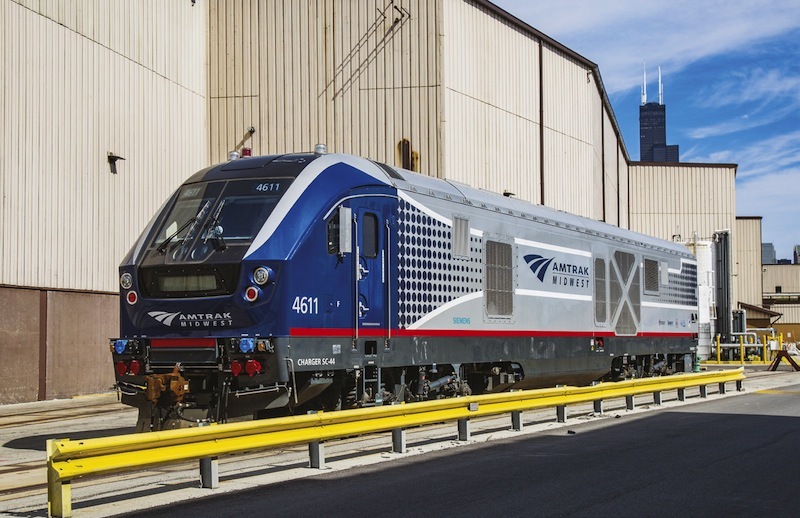 James said the goal is to transport passengers from Chicago to Rockford in less than 90 minutes – similar to the Hiawatha service between Chicago and Milwaukee. An estimated 100-yard track connection – linking Milwaukee Road track with that owned by Union Pacific at the Big Timber station in Elgin – could extend Metra service from Chicago to Huntley right now. But that would require money Metra has been reticent to spend. The Midwest High Speed Rail Association is advocating for a “fast track initiative” that would create a network of reliable passenger trains branching out from Chicago and traveling in excess of 200 mph. It estimates that $233 million will be needed to extend service beyond Elgin to Marengo, Huntley, Belvidere and Rockford by rebuilding the Union Pacific tracks and connecting them with the Metra Milwaukee West tracks at the Big Timber Road station. If he had to guess, James said a single stop between Chicago and Rockford would make the most sense for Amtrak. That could give Belvidere the edge over Huntley. Of course, that’s assuming a future line uses the Union Pacific tracks rather than the Canadian National-owned line out of Elgin. The project would use existing rail – the old Black Hawk line, formerly owned by the now-bankrupt Illinois Central, on which Amtrak offered passenger service in the 1980s. When the Illinois Legislature discontinued funding, the service ended. Folks from Freeport to Galena and into Iowa have pined for it ever since. In 2007, Amtrak, at the state’s request, conducted a feasibility study to reinstate the Black Hawk route to Rockford and Dubuque. At that time, the estimated cost bandied about ranged from $32 million to $55 million. It is hard telling what they would be now. Even though no additional rights of way would be required, the rail would need to be upgraded in order to carry both freight and passenger trains. James said it costs about $47 million a year to run all of the Amtrak routes in the state. However, Amtrak spokesman Marc Magliari said his agency, technically the National Railroad Passenger Corp., generates four times more money for the state than that – about $300 million a year in wages and procurement. “That is a high return on investment,” he said. But will local politicians succeed in passing the first capital-spending bill in 10 years? And is there the political chutzpah to provide sustaining money, at least in the short term, until service gains a toehold? James noted that taxpayers provide less than 10 cents of every dollar used to run Amtrak. Passenger fares carry most of the freight and will continue to do so in the future. James said Amtrak received a federal operating subsidy of $900 million in 2004, which fell to $168 million in 2018. In two to three years, he anticipates Amtrak will break even, buoyed by increased ridership. • Kurt Begalka is administrator of the McHenry County Historical Society and Museum. He can be reached at 815-923-2267.